Today, in another round of blue posts announcing game changes for Cataclysm came the news that the differentiation between ten and twenty five man raids would be all but removed with the third expansion. Obviously, as someone who is already a member of a ten man strict guild, this couldn’t be better news for me. When I (and some friends) originally made the decision to switch to a ten man guild, we did so for a number of reasons. Firstly, an issue for many mediocre twenty five man guilds out there is the skill of their players. Most guilds have a strong core of active, skilled and dedicated members. However they still need those twenty five people to fill the spots and frequently they will recruit less skilled players in order to do so. They get caught in a catch 22 situation. If they raise their expectations, then they may have to wait a significant period of time before raiding; thus running the risk of losing their core. If they lower their expectations in order to raid, they are doomed to “carry” a certain percentage of players on a daily basis. This is all well and good for some encounters, for the harder ones where everyone’s performance is vital, they hit a brick wall on progression. Secondly, the atmosphere in smaller guilds is friendlier. With so few members, everyone gets to know each other on a very personal level. Thirdly and somewhat related to the above, it’s logistically easier to organise ten people and their schedules. You can generally fit raids to accommodate all your members. Due to this, you don’t need as many excess members for rotations when others can’t make it. Thus your team becomes more adjusted to playing together, perform better together and, as above, know each other better. However the problem for ten man guilds have been widely publicised on this blog in the past. If you want to compete for PvE progress with your equals (that is to say, other ten man guilds), then the only way at present is to follow guildox.com’s ten man strict regulations. This prevents your members from being able to pug twenty five man raids. It also limits recruitment, both for raiders and for social members. In addition, we pay a penalty on our loot. This extends further than just the actual stats of an piece, but runs to mounts and other vanity items. Mimiron’s Head? Invincible? Both come from twenty five man raids only. I’d love to hear the thoughts of readers who are currently active in either ten or twenty five man guilds. 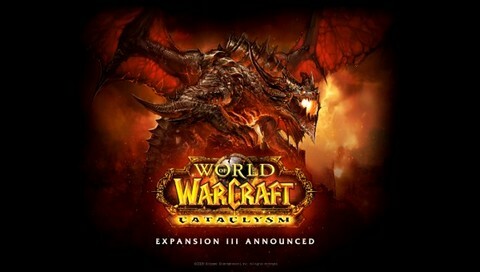 It’s certainly a big change for Cataclysm but it also remains faithful to their ethos of bringing raid content to the masses.